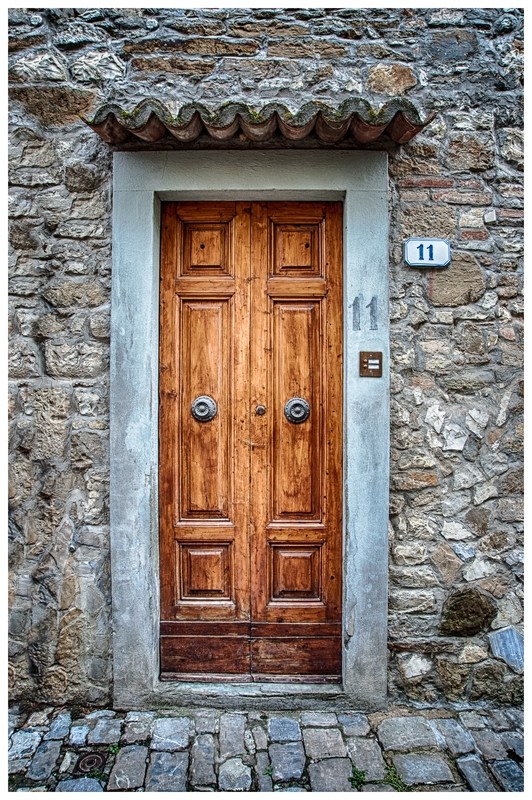 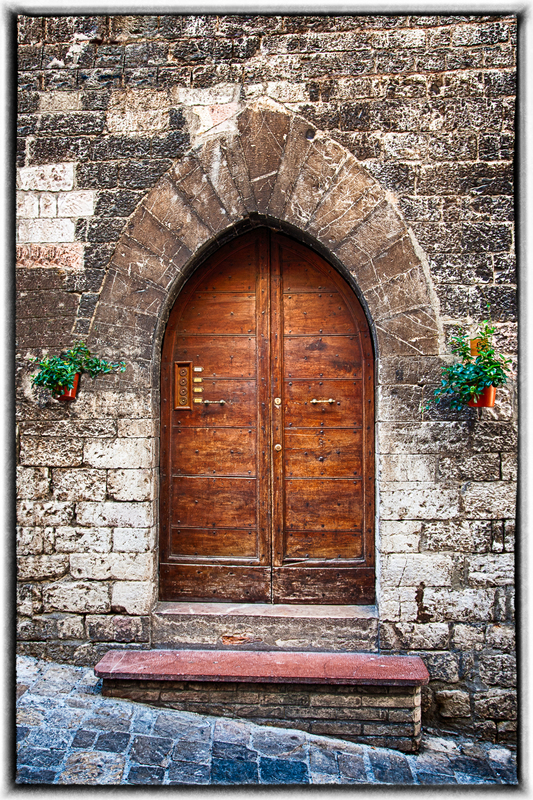 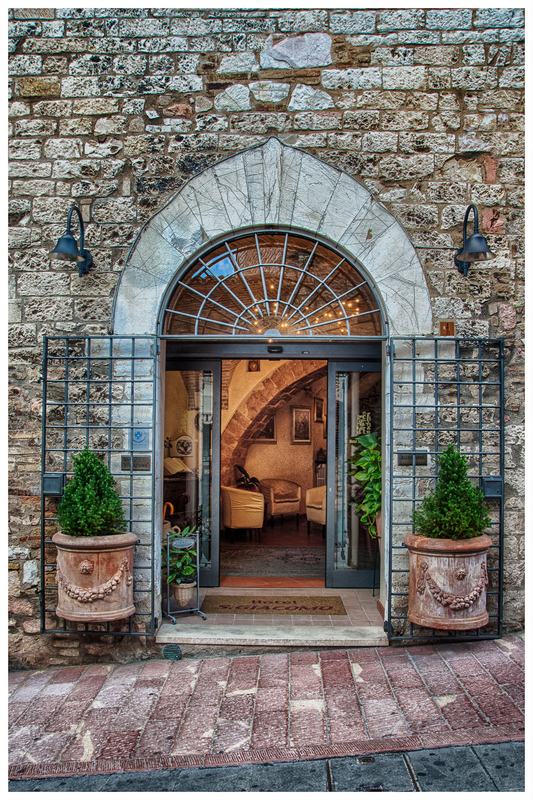 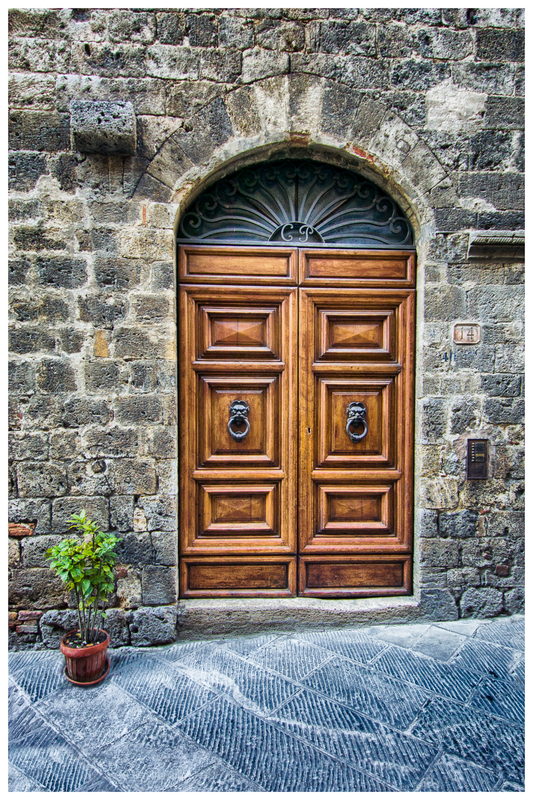 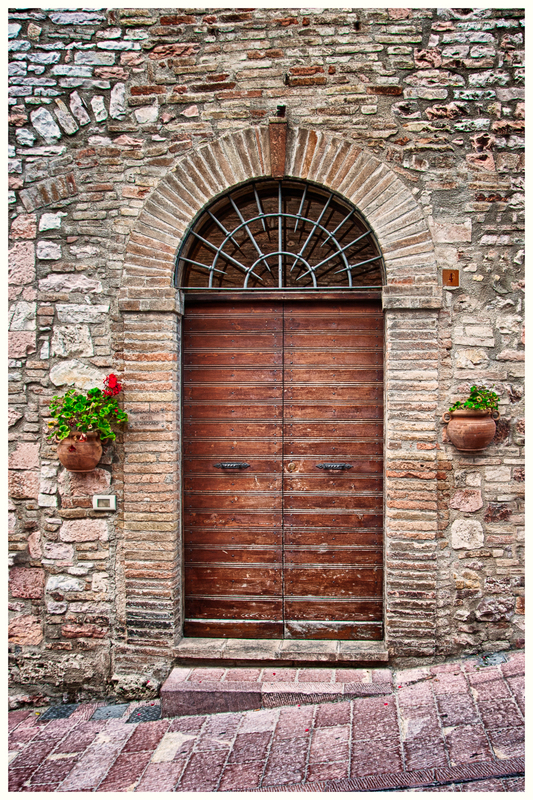 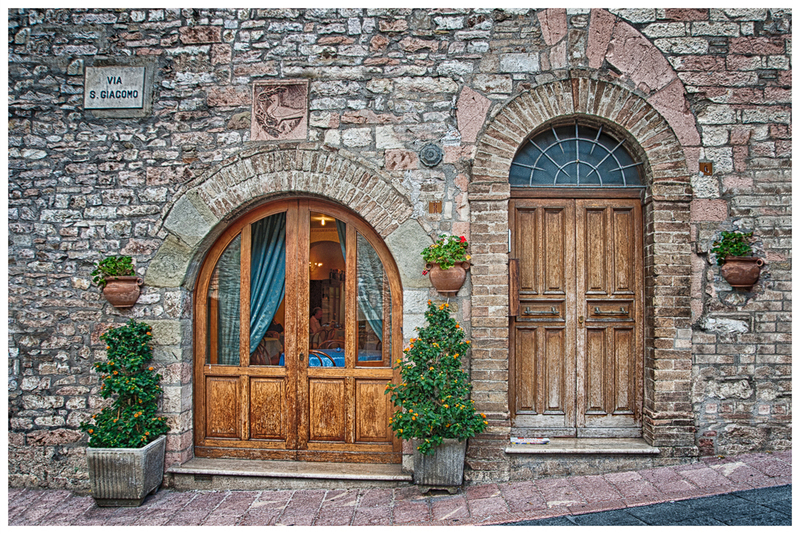 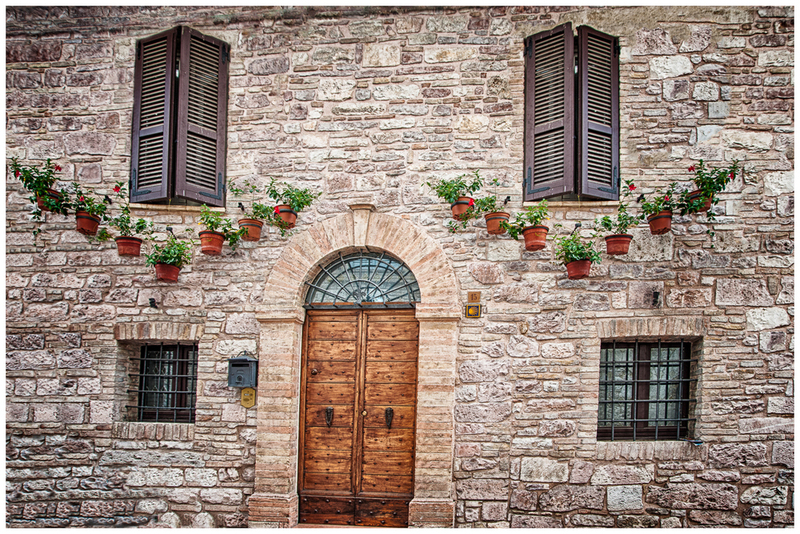 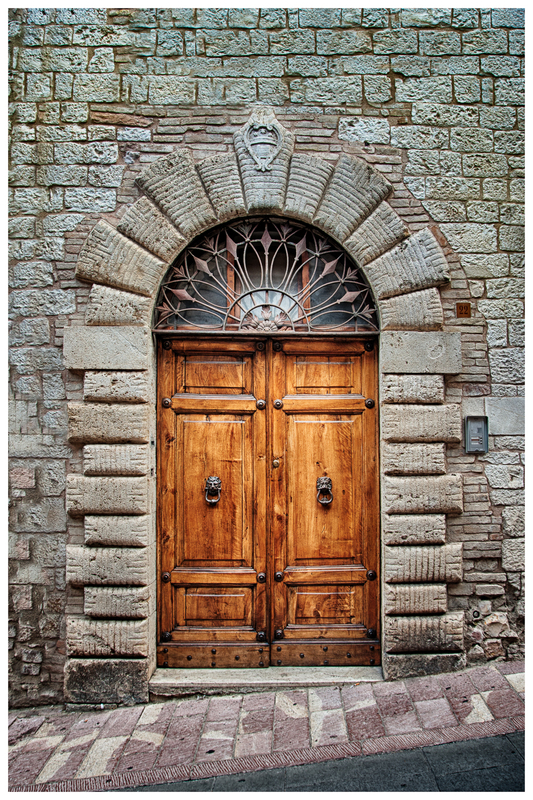 The Doorways of Italy were shot in towns such as Montefioralle, Assisi, San Gimignano, and other small towns and villages throughout Italy. 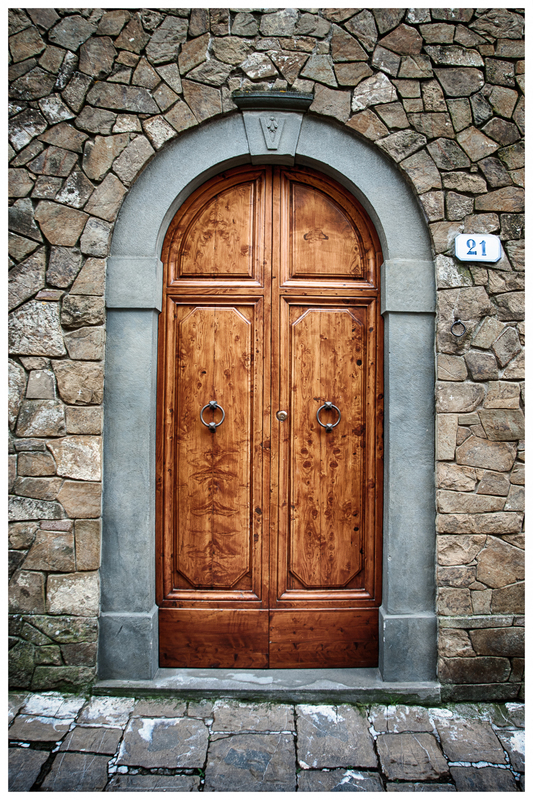 With each door being hand built and one of a kind, they represent a form of art in their own right. 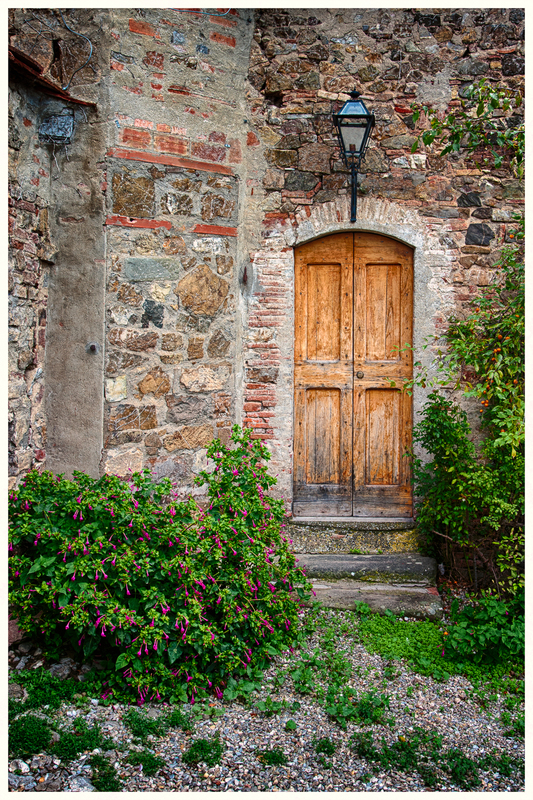 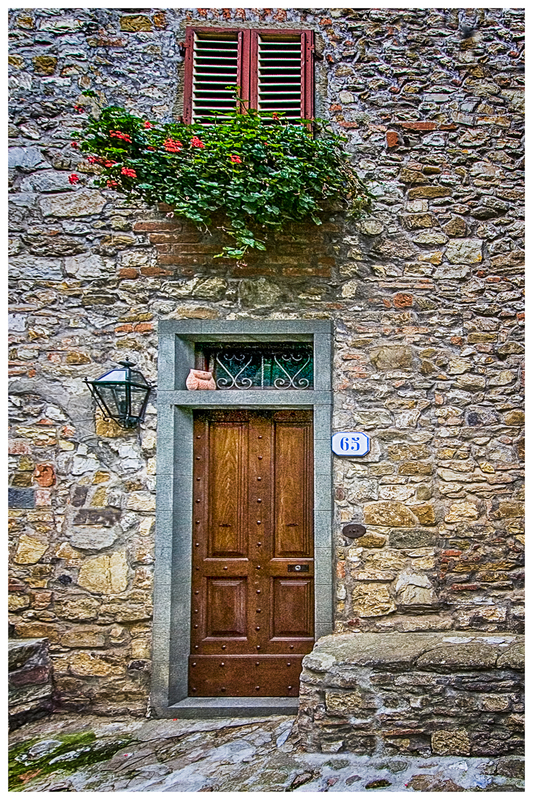 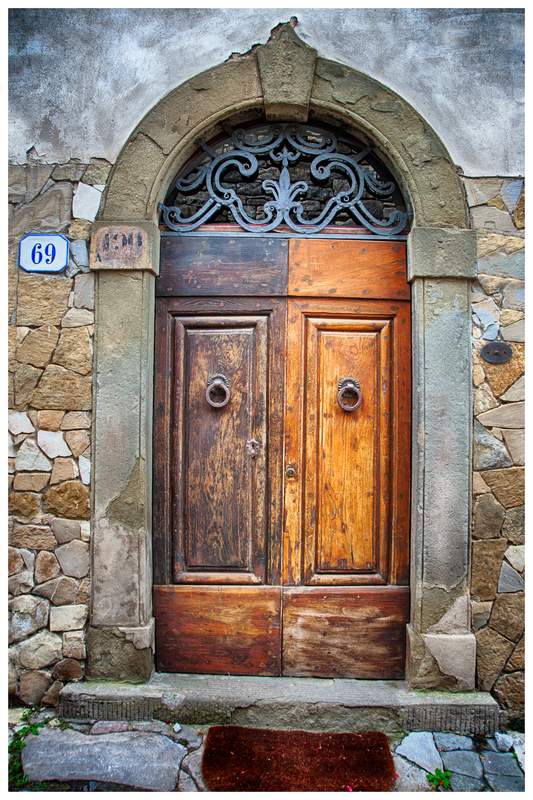 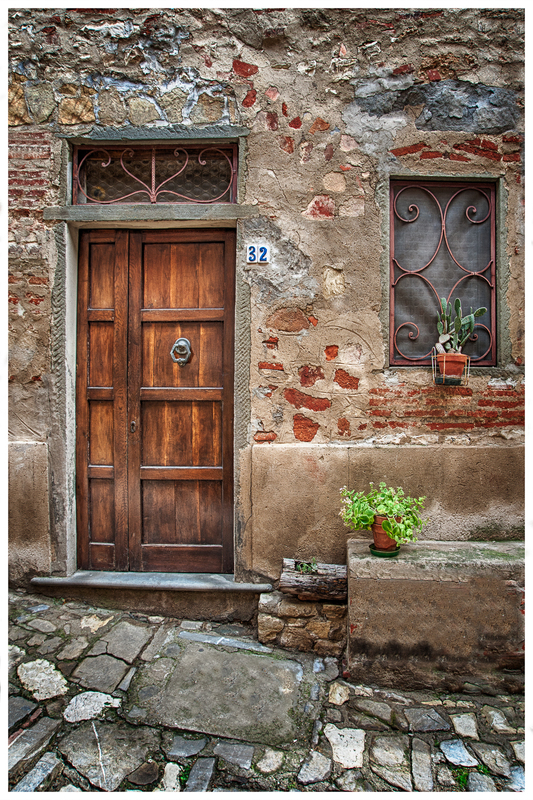 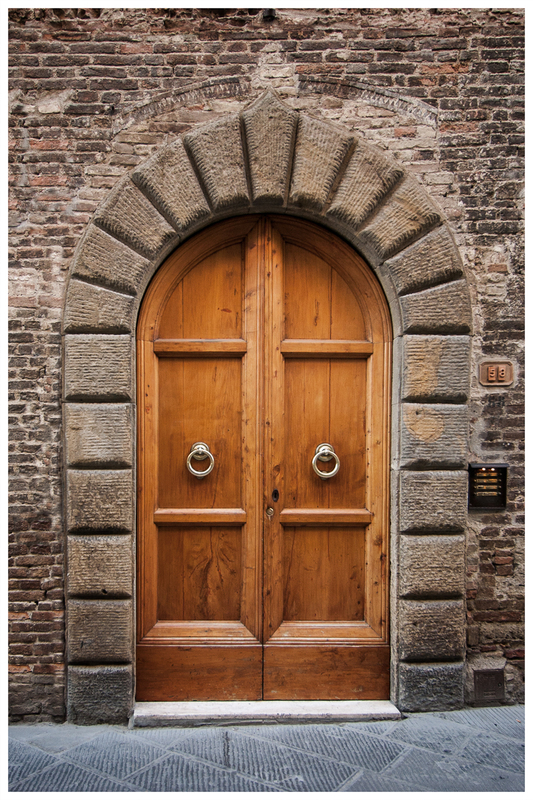 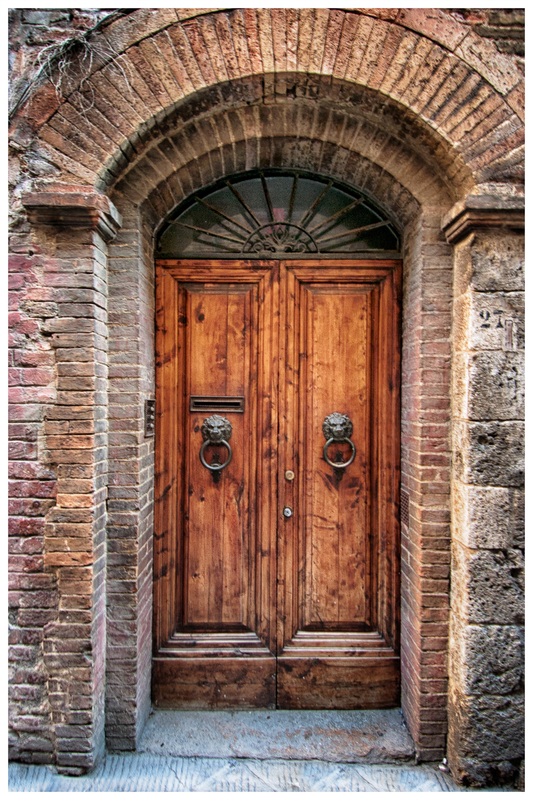 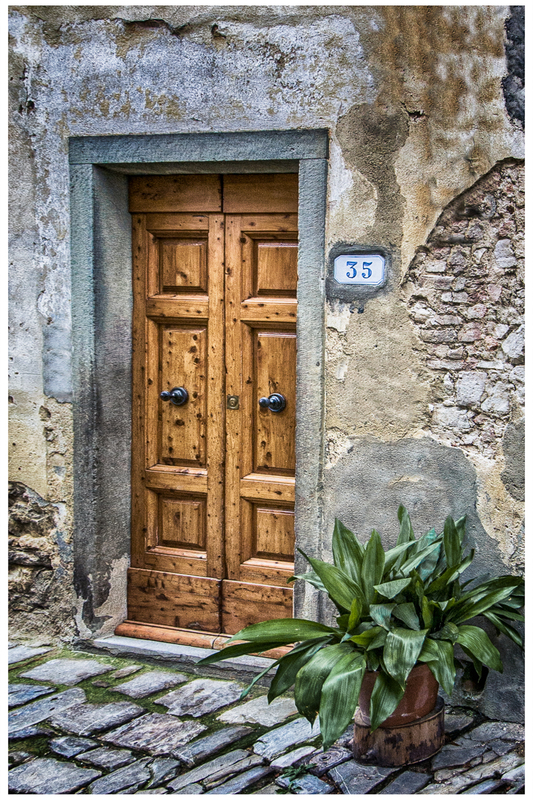 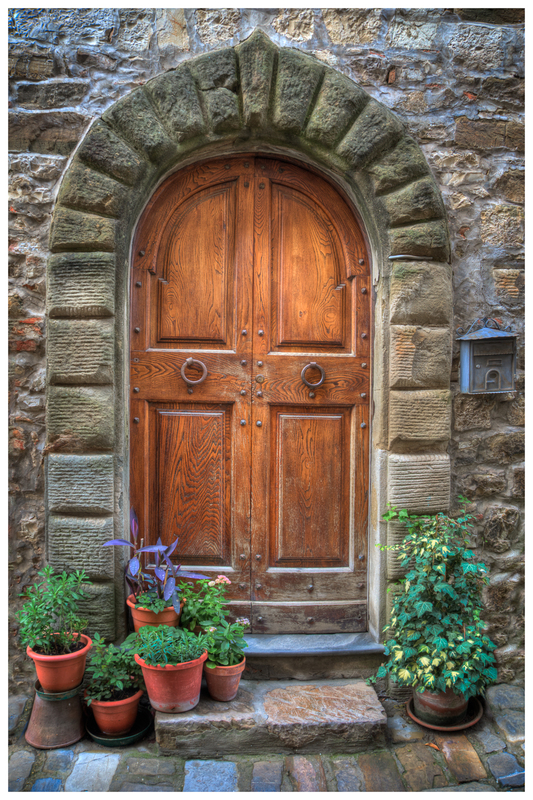 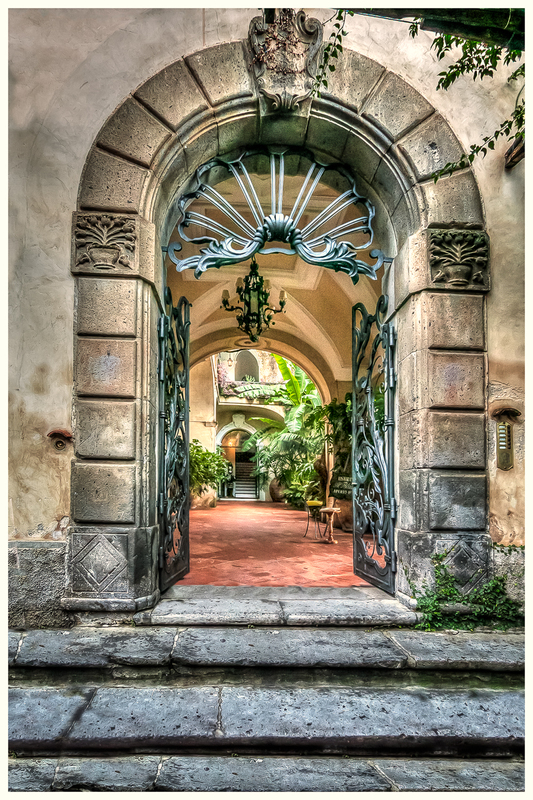 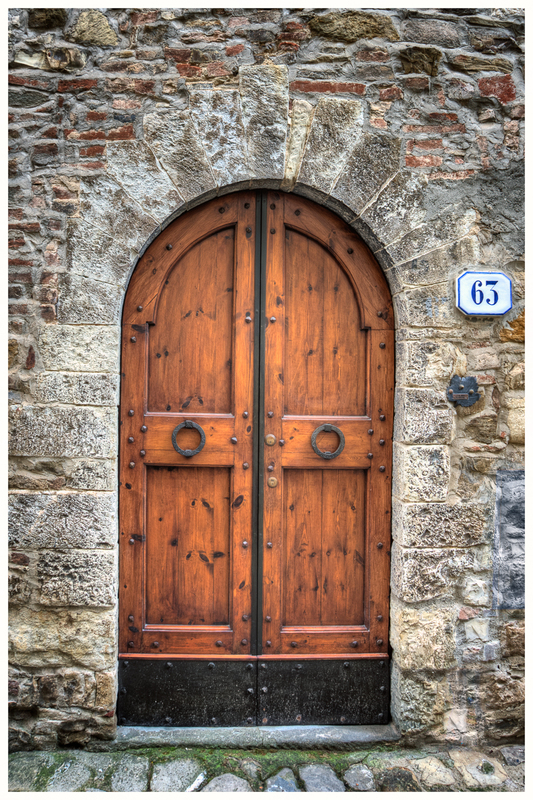 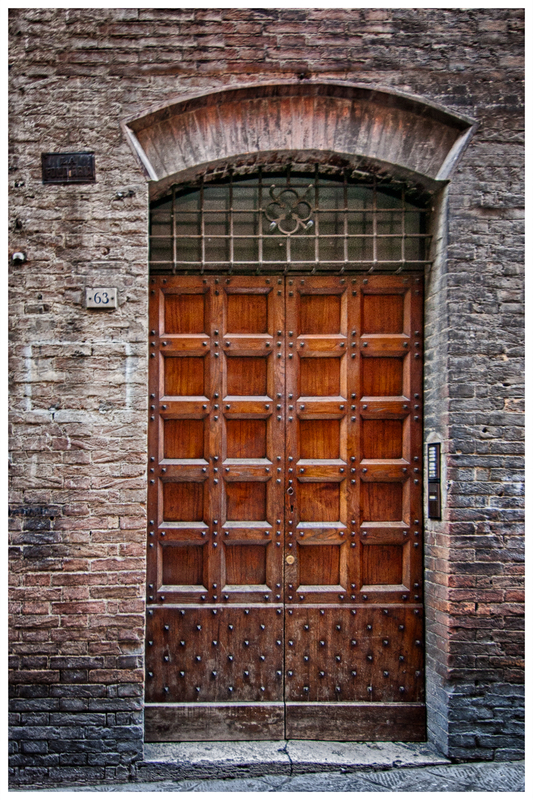 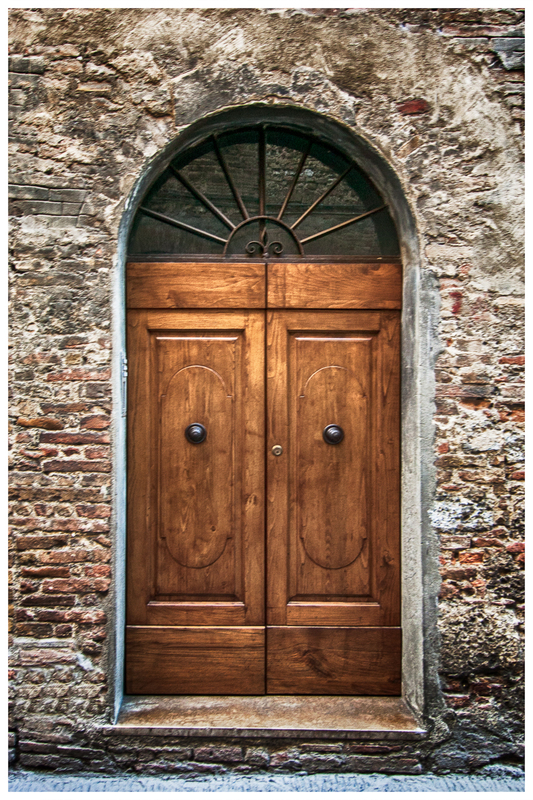 Technical: Each Doorway picture was created through a process called High Dynamic Range, or HDR. 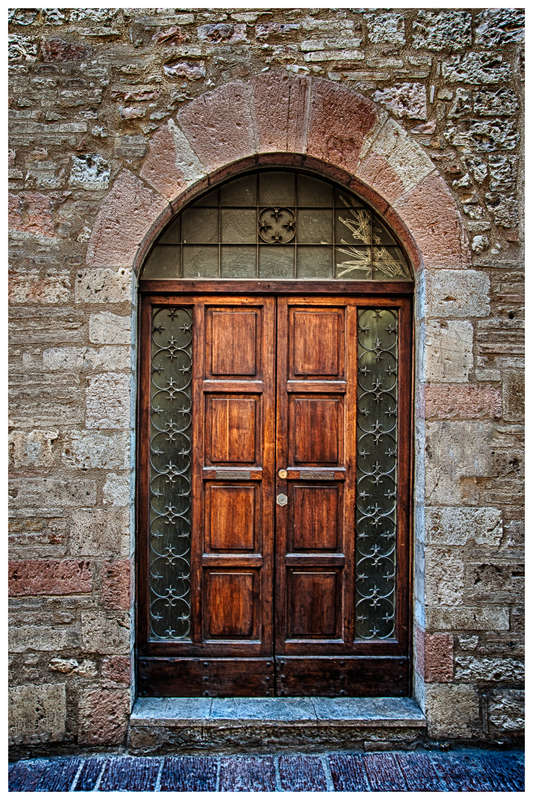 The final picture is a combination of 5 - 7 shots taken of the doorway, each at a different exposure value, or level of light. 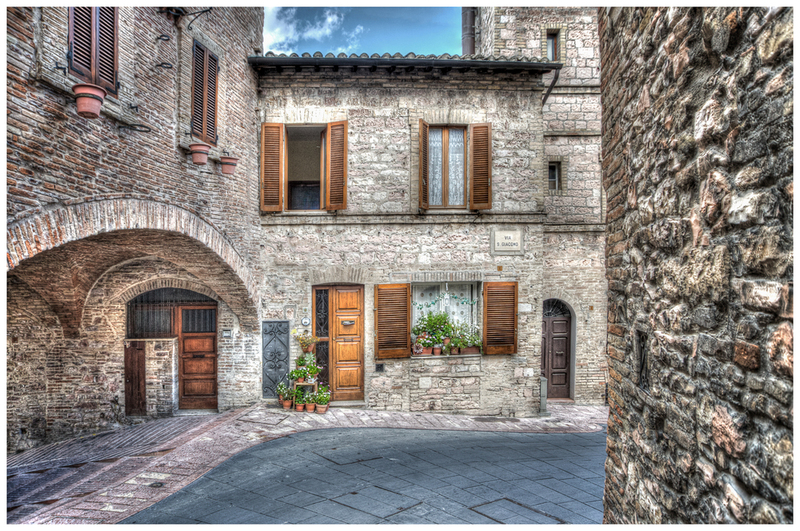 These 5 shots are then combined together creating a photo that is beyond the capability of a single shot. 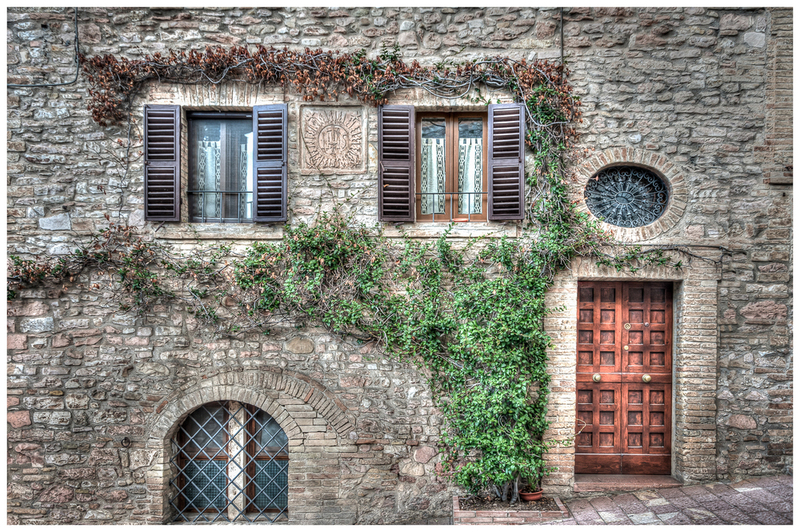 The HDR process also brings a textured look to the picture, giving it a distinct characteristic look.